For use with WMcAMP stimulator. NOT COMPATIBLE with models: M250/M250MA/W250/LVtC. 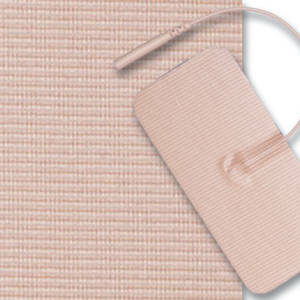 Highest quality hydrogel self-adhesive electrode, made in the USA. SIS Manufacturing has full knowledge and data sheets directly from the manufacturer of the materials and construction used in this electrode. 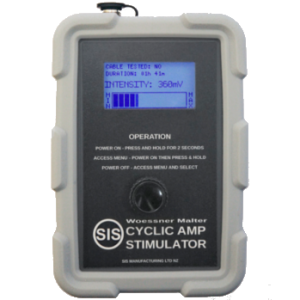 Tested by us and intended for use with the WM-Cyclic-AMP stimulator. 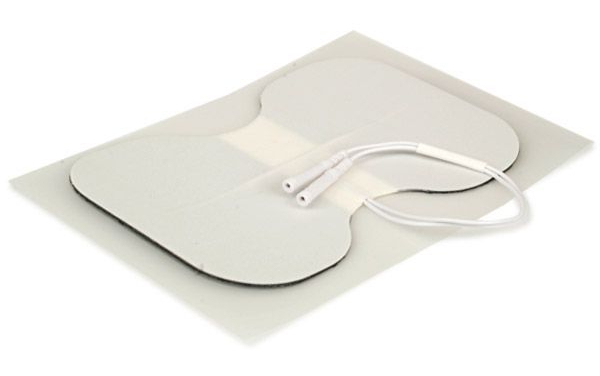 The electrode is reusable and conforms well to the body for use in many anatomical locations. Dimensions 10cm (4") x 15cm (6"). 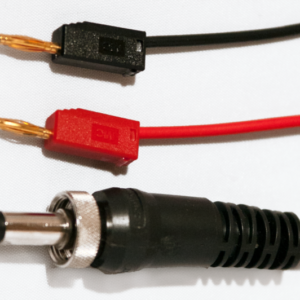 Two electrode harness (cable) connections, two way polarity. FDA 510(K) Class I (USA) & CE (EUROPE) conformity.